First time squash-growers become anxious when they see the first squash flowers drop off without leaving a sign of a baby squash behind, but there's usually no cause for concern. Those first squash flowers are males, and their only purpose is to pollinate the female flowers. A week after the male flowers appear, you will begin to see the first females. 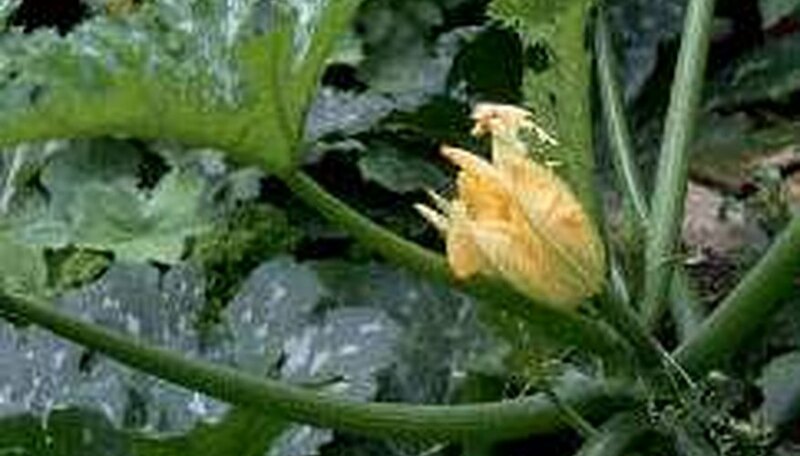 If the female flowers also drop off without producing squash, it wasn't pollinated. Squash depend on bees for pollination, so if you don't have bees, you won't have squash. Try pollinating them by hand. You can do this with a q-tip or soft brush, or you can simply pick a male flower, remove the petals, and whirl it around inside the female flowers. It's easy to identify the male and female blossoms. Males have a single stamen in the center. Females have a large swelling (the ovary) just beneath the blossom and a four-part pistil in the center.